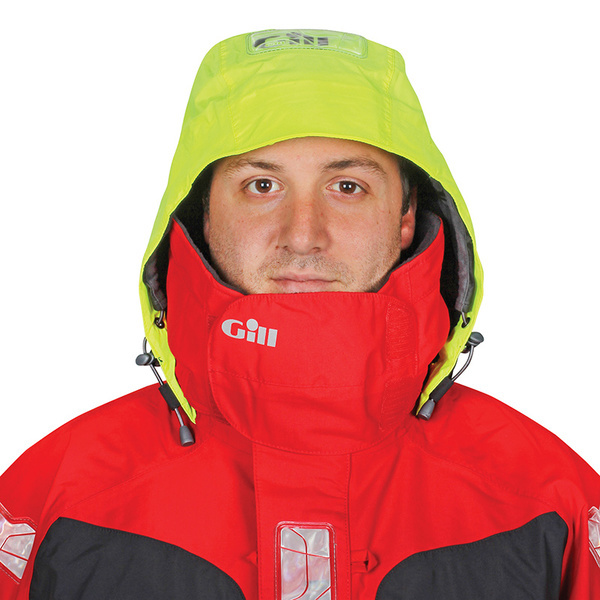 Gill has updated their already feature-rich offshore/coastal foul weather jackets with the addition of retractable cuff adjusters with polyurethane inner seals that were previously only found on their Ocean series, plus fleece-lined chest and handwarmer pockets with water-resistant zippers. The high-visibility fluorescent hood with volume adjustment and high-cut thermal collar have also been redesigned for added full face protection. The jacket is made of a durable, 3 Dot™ hydrophobic laminated moisture-management fabric with a hydrophilic coated layer that transports moisture away from your skin and fully taped seams so it's 100% waterproof, windproof and breathable. It features full lining with mesh drainage panels, a two-way center zipper protected by a double storm guard, a zippered internal security pocket, life jacket attachment points and high-visibility Reflexite® reflectors. Imported.